New York State’s new, liberally politically correct abortion law versus Judaism's approach. The 2018 elections gave New York State Democrats control of the executive and both legislative houses. They inaugurated their control by legislating a very liberal law concerning the performance of abortions. The new law allows a woman to obtain an abortion according to her free choice up to the 24th week (end of the second trimester), and also in the last trimester if the fetus is distinctly abnormal, or if the woman’s emotional or physical health is endangered. The abortion can be done outside a hospital by a range of licensed health professionals. Thus even in the last trimester a woman can, with no legal penalty, obtain an abortion if she can convince a sympathetic health professional that giving birth will endanger her emotional life. In reality, any woman can now come to New York and have an abortion throughout all nine months of pregnancy, upon demand, if it is important for her emotional well being. Progressive liberals feel that this new abortion law is socially moral for three basic reasons. One, throughout history men have oppressed woman. Sexual exploitation has been a very major form of oppression. Causing woman to have unwanted pregnancies has been a major form of male exploitation. If a woman does not have access to abortions in order to escape the consequences of an unwanted, male imposed pregnancy this woman will suffer her whole life. Second, in the post modern world, there are no longer any universally accepted, objective codes of moral behavior. All codes of moral behavior are ultimately subjective, the result of the particular historical, social and psychological circumstances of the particular moral code’s author. Thus the essence of current social morality is to enable each individual to benefit from the minimal amount of social oppression, and maximum of social liberation, so that he will be able to maximize his self actualization, according to his free choice and dictates of his conscience. Easily available abortions certainly allow a woman to more freely actualize herself. Third, we are harming a child if we allow it to be born into a social relationship (‘family’) that does not want him, or lacks the social resources or abilities to take care of him (as in the case of a child born with significant deformities). As a conservative, Orthodox (white, male) Jew I would characterize this progressive, liberal social morality as being secular, rational, and utilitarian. I would also take the risk of terming it highly utopian, in the sense that basing social morality on the sole principle of ‘minimizing oppression and maximizing self liberation’ avoids addressing and coping with the very multi-dimensional, moral aspects of our existential being. 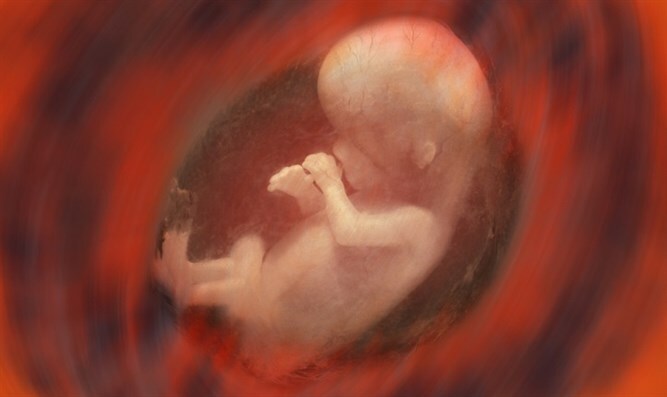 Does an unborn fetus have social-moral rights? For example, in reading the literature supporting a very liberal approach to abortions I found very, very little reference to the extremely complex, moral question concerning the moral rights of a living, growing unborn fetus inside the woman. The basic response is that a woman has the right to take care of her body as she sees fit, and as long as the fetus is ‘housed’ in her body, all moral decisions should thus be based on the principle of what benefits the mother, and not what benefits the fetus. Such a perspective treats the fetus as simply another limb or organ in the women’s body, possessing no more moral rights than her liver or pancreas. This perspective seems to me to be unrealistically ‘simple’, a boorish, a- rational avoidance of all we know now (and did not know in 1973 when Roe and Wade was decided) about the very extensive physiological development of the fetus at 24 weeks. A fetus born in the seventh month of pregnancy can develop into a normal human being, when properly taken care of in a prenatal hospital ward. A fetus thus cannot be simply understood as another limb or organ of a woman’s body. Maybe the fetus can claim moral-social prerogatives? I would appreciate being sent liberal, ethical discussions concerning the question of the fetus’s moral status. The social morality of the Torah is definitely not liberally ‘politically correct’. The social morality of the Torah is not primarily based on principles of rationality, secularism or utilitarianism-though it contains many rational and socially beneficial elements. Rather the social morality of the Torah is based on our belief that G-d created us, and we have a soul of divine origin within us. Thus we share ‘proprietorship’ over our lives with G-d. Rabbinic literature specifically states that three personages give birth to a child, G-d and two parents. We actualize G-d’s partnership in our parenting when our lives are guided by His Torah, and the two thousand years of rabbinic interpretation of that Divine Wisdom. Thus the social morality of the Torah says that a decision concerning abortion cannot be reduced to the free, individual choice of a single woman concerning what is ultimately most beneficial for her emotional and social health. Very briefly, the Torah ascribes, after 40 days from conception, a Unique, special moral status to the developing fetus. On one hand it is not simply another limb or organ of the mother. Yet, on the other hand it does not does have the moral status of a post birth, individual human being. It thus has the unique,’intermediary’ moral status of being understood as a ‘human being in a pre-birth developmental stage’. Because of the fetus’s ‘unique, intermediary’ moral status, abortion is not judged by Jewish law in the category of a ‘murder of a human being’ (as I believe the Catholic Church believes). However (though abortion is not considered as ‘murder’) the Torah emphatically prohibits abortion. Because the fetus is seen as ‘a human being in a pre-birth developmental stage’ abortion is flatly forbidden, except in tragic, extenuating circumstances that endanger the mother’s physical life, and in very special circumstances, may also endanger her emotional well being. Because of Torah’s emphatic prohibition of abortion, the mother is not permitted by herself to decide which extenuating circumstances could justify an abortion. Jewish law requires that she must very privately consult with a sympathetic rabbinic authority, who has extensive experience interpreting the inner wisdom of G-d’s Torah. By consulting with a sympathetic rabbinic authority, Orthodox Jews believe that the woman is in fact consulting with G-d, the third party proprietor in the miracle of human conception. What to do when a society contains (at least) two, very conflicting definitions of social morality? In the post modern world, creating a truly pluralistic, diverse, multi faith society means having government policy recognize the social legitimacy of diametrically opposed definitions of social morality. For example, legislation regarding issues of social morality, such as abortion, should recognize a compromise between opposing social philosophies. I know it is very painful for progressive liberals to accept the social legitimacy of the Torah’s social morality concerning abortion. They are convinced it is an expression of male superiority and oppression. They inwardly ask, why should a bunch of ancient religious scholars restrict the freedom of a woman to decide what is a socially important for her. I know it is equally very painful for people who believe in G-d given spiritual truths to live in a society where it is considered lawful for the developmental life of a yet to be born fetus to be ended on the basis of the utilitarian, convenience interests of the mother. However, promoting a truly diverse, pluralistic post modern society means legislating compromises that take into account the arguments of opposing social moralities. In the case of abortion, I believe that a legislative compromise would mean that third semester abortions would be legally permitted only in a hospital setting and when approved by a hospital ethics committee. This would reflect the fact that a fetus in the mid seventh month can survive and normally develop when give proper pre natal, hospital care. The moral justification for formulating a consensual compromise in a unitary political society between conflicting social moralities is the political need to maintain the sense of solidarity and a ‘uniting, common political purpose and good’ without which no political society can long function or survive. American society disparately now needs to recover its sense of an overriding sense of a common political purpose and good. America today must learn a lesson from the moral political statesmanship of Abraham Lincoln. Lincoln hated the institution of slavery as much as the radical, utopian abolitionists. But he also knew that America was the most moral, liberal democracy that existed in the world in 1860 (even when we take into account the institution of slavery, its relations with Native Americans.) Thus, when elected President, he sought to enact a legislative compromise that would create a ‘uniting, higher moral ground of a common purpose and good’ between the social morality of abolishing slavery in an incremental, evolutionary manner and the social morality of upholding the Constitution as written in 1786 upon which the world’s only and greatest liberal democracy was based and flourished for over seventy years. The South rejected Lincoln’s higher moral compromise and over a million men died in the Civil War. I hope America today can relearn the lesson of Lincoln’s political moral statesmanship.